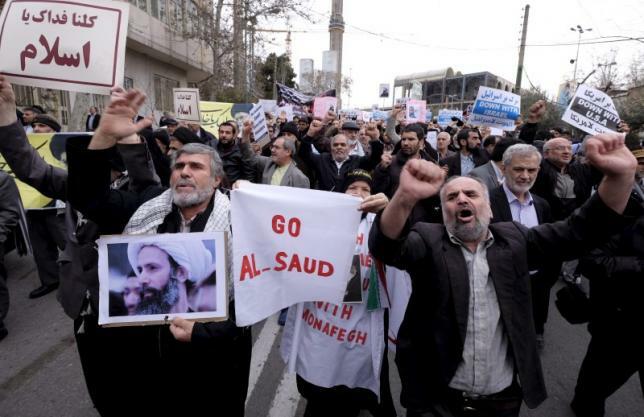 Gypsy Scholar: Iranians Shouting "Go Al-Saud"? Sam Wilkin reports that "Iran complains to U.N. about Saudi 'provocations'" (Reuters, January 9, 2016), but despite official Iranian opposition to the Al-Saud regime in Saudi Arabia, based on centuries-long animosity between Shi'a and Sunni, we see that protests in Iran show surprising support for the Al-Saud regime among the protesters themselves! "Go Al-Saud, Go! Show 'em What You Know!" Either that . . . or the Iranians aren't getting their money's worth for the private English lessons they're secretly taking . . .
Poetry Break: "A Jingle for Florida Orange Juice"
ISIS in CRISIS? Paul Wood says "Yes"
North Korea's Next Test: The F-Bomb! Sights from Lima, Peru . . .
Stephen Vincent Benét Again . . . So . . . who is this Chivers fellow, anyway? Quito Finito? No, Quito Fino! Michael G. Chivers: Impersonating a Traffic Cone?